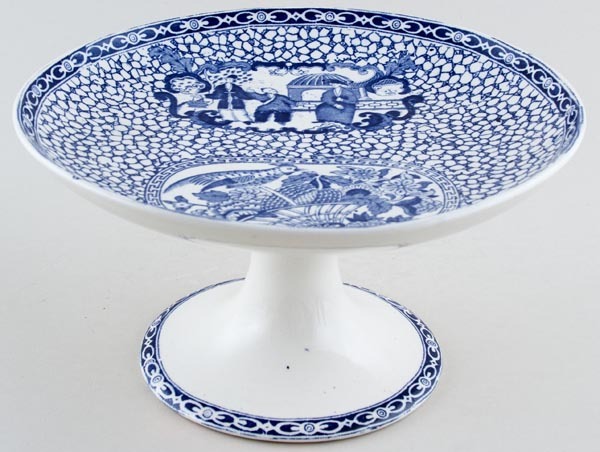 A most unusual piece in Chinese Bird this cake stand is on a splayed foot decorated with the border pattern with full pattern to the top. Backstamp: Rd no. 623294. This pattern was introduced by William Adams ..... Wm Adams England. Underneath there are a few lines of crazing otherwise excellent condition. OVERSEAS SHIPPING OUTSIDE EUROPE Owing to the size of this item a supplement of � about US$41 will be added to the standard overseas shipping charge.